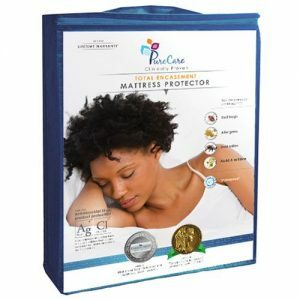 PureCare® Total Encasement Mattress Protectors provide a physical barrier against allergens, bed bugs, dust mites, stains, moisture, mold and mildew. This is the best mattress protection available and the official protector of both the National Sleep Foundation and The Women’s Choice Award®. Women’s Choice Award 2015 and 2016! Our clinically proven PureCare® Total Encasement Mattress Protector features MiteTight® seams and locking zippers to provide a physical barrier against allergens, bed bugs, dust mites, stains, moisture, mold and mildew. Our clinically proven OmniGuard® Advance lightweight performance fabric ensures that our mattress covers sleep quiet and cool, while providing the best mattress protection possible for all six sides of your mattress. Our PureCare® Total Encasement Mattress Protector works with any mattress type; including memory foam, innerspring, gel or latex mattresses. Completely washable, our total encasements are specially designed so that you can wash and dry on hot settings for optimal sanitization. Mattress covers conform to strict class one medically recommended allergen standards. 10 year warranty against manufacturer defects. Conforms to Oeko-Tex Standard 100 Certification. The Women’s Choice Award® is recognized as The Voice of Women. 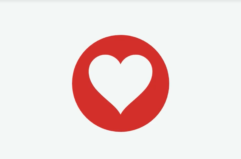 The Award seal represents the extraordinary power and significance of today’s female consumer through their collective voice in determining the most recommended brands, products and services.